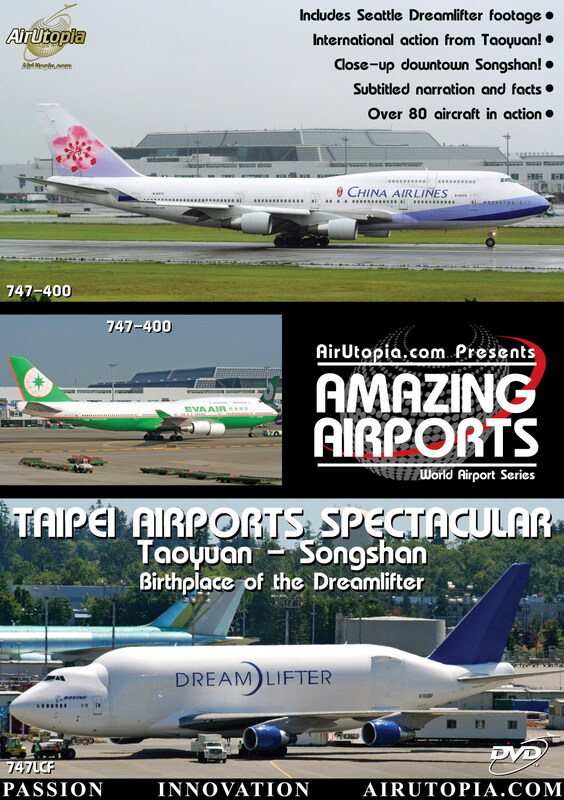 AirUtopia is honored to bring you the best that Taiwanese Aviation has to offer, from compact and dynamic Songshan Airport, to modern TaoyuanInternational Airport - birthplace of the mighty 747 Dreamlifter! 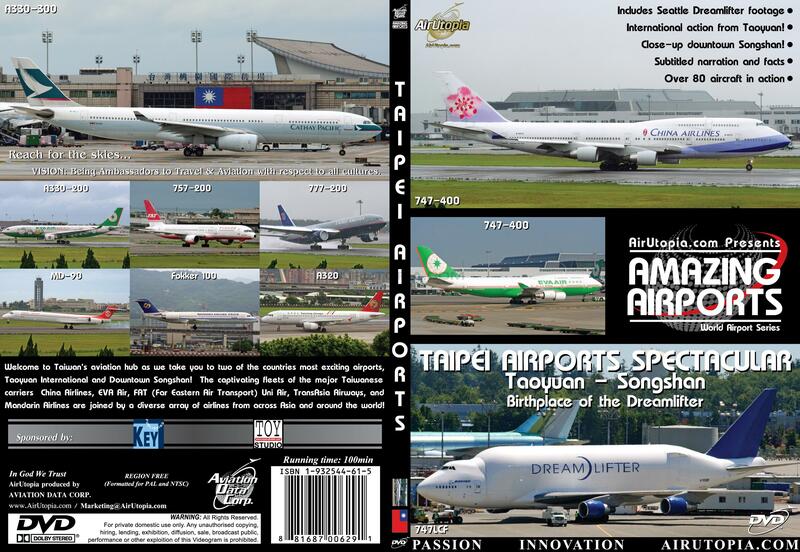 This rare and exclusive look at the world’s newest mega-cargo carrier highlights one of the most amazing looking aircraft ever to take to the skies! 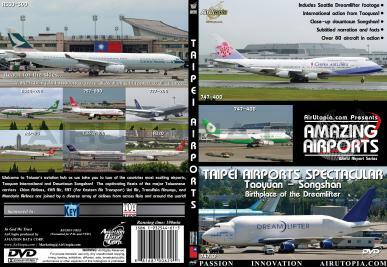 Also,The captivating fleets of the major Taiwanese carriers China Airlines, EVA Air, FAT (Far Eastern Air Transport), Uni Air, Tran Asia Airways, and Mandarin Airlines are joined by a diverse array of airlines around the world!